Since I was in the middle of a Hailey top for our knit binding tips and tricks, I thought I would continue with some shirring tips. Shirring with elastic thread results in a stretchy, comfortable style with added texture. It is a simple technique that only requires elastic thread. 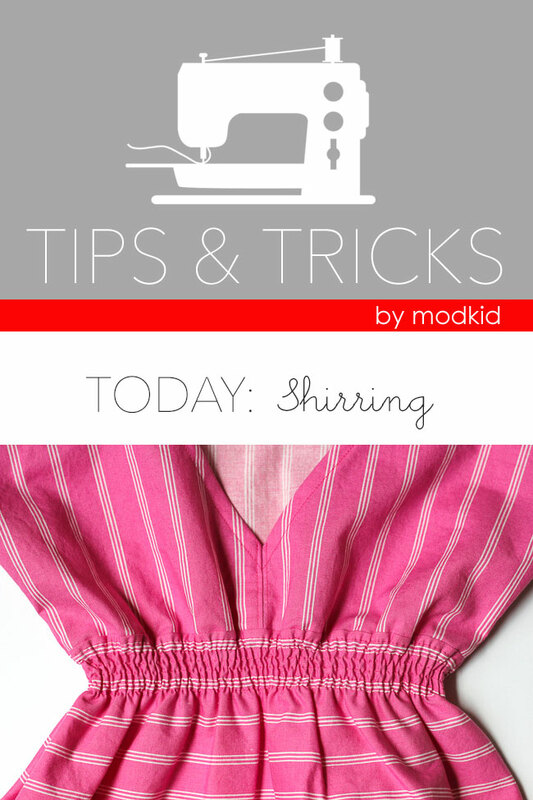 I'll start with some basic tips for shirring then give you some troubleshooting ideas at the bottom. First, you will need to wind the elastic thread onto a bobbin by hand using a steady rhythm, not too tight and not too loose. I try to hold is just past the point of stretching, but not tight at all. I also like to place the spool of elastic thread on the extra thread holder of my machine to hold it in place while I wind the bobbin by hand. Wind the thread back and forth on the width of the bobbin keeping it neat and tidy. You can see my threads aren't spread all over the place. Shirring works well with light weight fabrics only, knit or woven. Use a regular thread for the top in a color that matches your fabric. 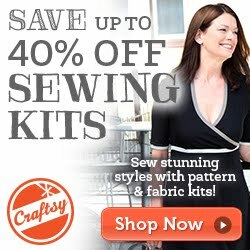 Use your longest machine stitch and regular tension. With the garment right side up, line the edge of your presser foot up so that the needle will enter about 1/4" away from your seam or edge. Use the seam as a guide to make your first row of shirred stitches across the entire width of the garment. Backstitch at the beginning. For the Hailey pattern, the back and front of the top/dress are sewn together on one side with the opposite side open. This allows you to sew the shirring in place while the top is flat. I will give another tip at the end if you are sewing in the round. Once you've sewn the first row of shirring, trail off the fabric slightly, rotate your garment (with the right side still up) and use the previous row of stitching as your new guide to line up the edge of your presser foot. As you can see, the first row the elastic will not pull very tight. As you continue to add rows of shirring the elastic will start to gather more. As you sew, keep the fabric flat under your needle. The more rows of shirring you sew, then more gathered the fabric will be. Once you've sewn the desired number of rows of shirring backstitch at the end of the row. Now, if you've never shirred before and you are anxious that the fabric has not gathered enough, run your hot iron with steam over the rows of stitching. You will see the fabric shrink up more like magic! Personally, I like to complete the garment before I give the final steam. I just find it a bit easier to sew before it is fully gathered. So, the photo above is the completed garment before steaming. This photo is after running over the stitches with a steamy iron. Magic, right?!? If you are sewing a garment in the round instead of flat, stitch one row all the way around. As you come to the end of the row, angle the fabric down to continue to the next row. Essentially you are sewing a spiral, but the rows should remain parallel except at the side seam where you angle the fabric down. Switch to a new needle. Make sure your bobbin is not overly full. Make sure your tension is at the normal setting. Make sure your fabric is lightweight. Check your sewing machine manual for any special instructions. Use your longest stitch length. 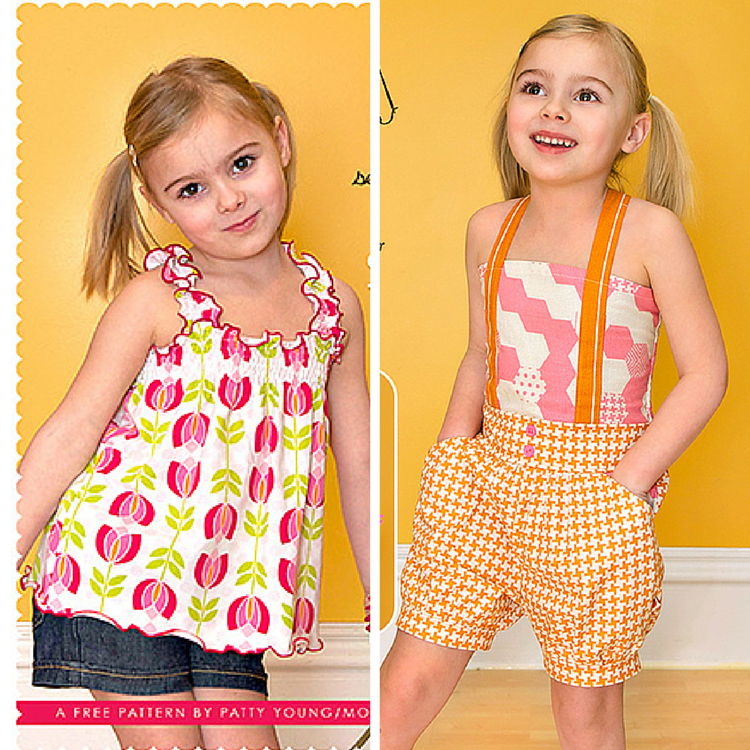 In addition to the Hailey Girls, Tween, and Misses patterns, these shirring tips would be helpful for the FREE Modkid Sunny Days tank and the Modkid Bailey Romper. I am Mark Melanson and I liked your tips about Shirring with Elastic Thread very much. your article was easy to understand. Thank you for this necessary post.